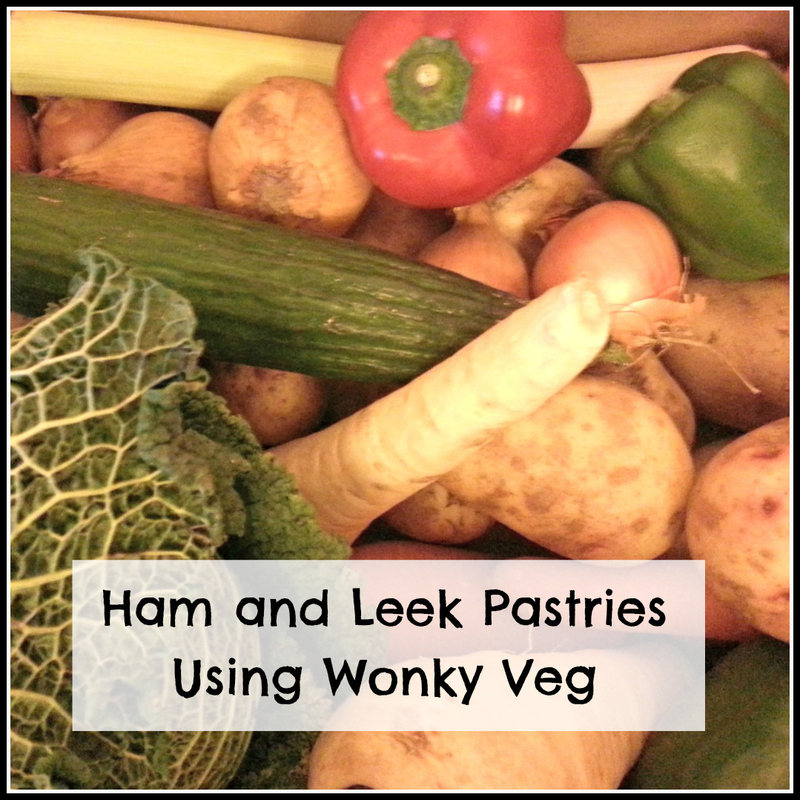 It's Day 4 of Wonky Veg week, where we've been trying out Asda's new initiative and seeing how far we can make £3.50 worth of vegegtables stretch. 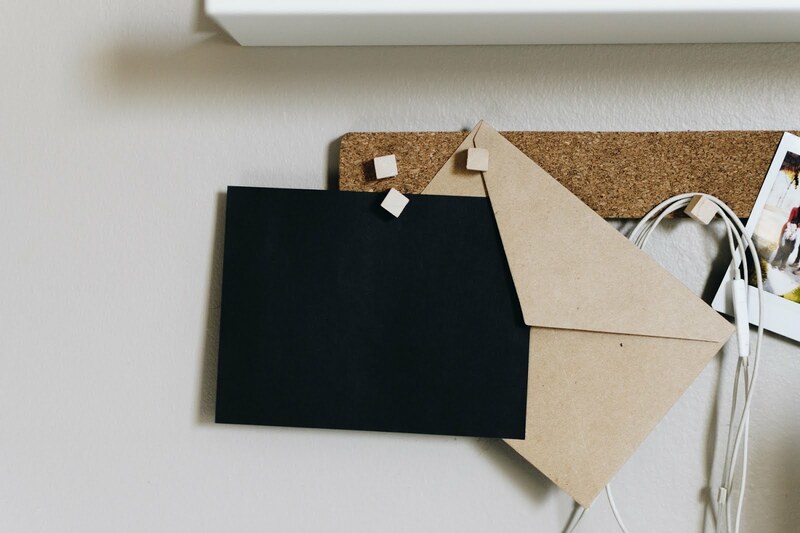 You can read our initial thoughts in our First Impressions post. We still have onions, carrots, a few spuds and a lonely leek to go. I'm feeling a bit sorry for that leek, all alone in that big box, so this is his time to shine! A great excuse for a massive pie, if you ask me! 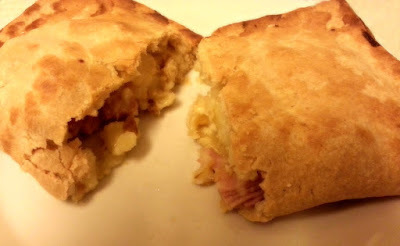 It's not really a pie, it tastes like pie, but is easier to make, as you don't need to line a tin. 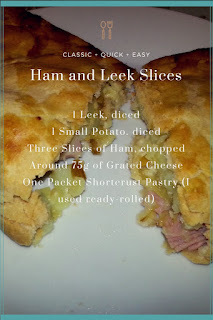 This is my recipe for Leek and Ham slices. 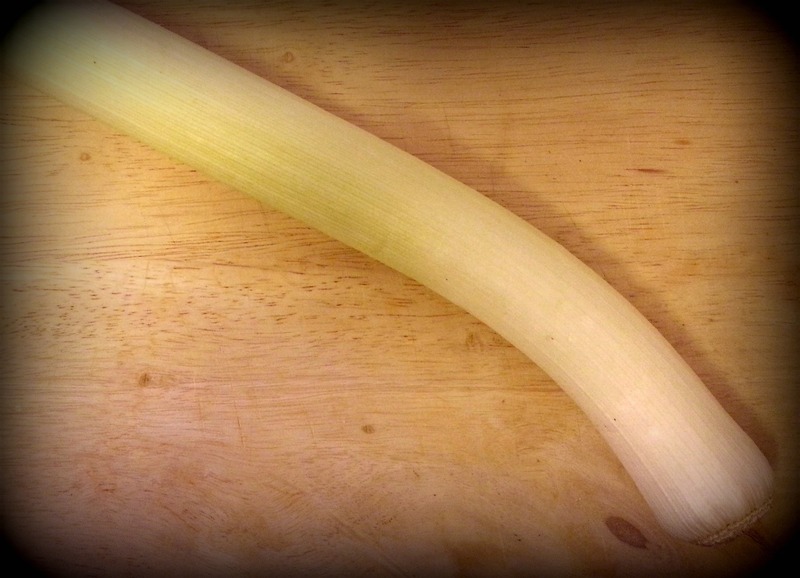 Fry the leeks in a little butter, for five minutes until soft and starting to brown. Boil the diced potatoes in a saucepan for around ten minutes, until soft. 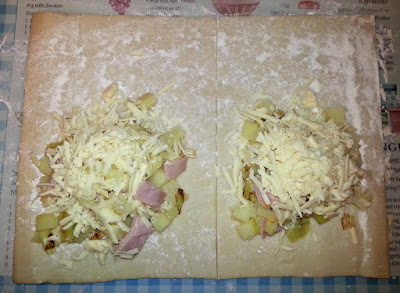 Add the mixed ingredients in the centre of the pastry rectangle, leaving plenty of edge for sealing. 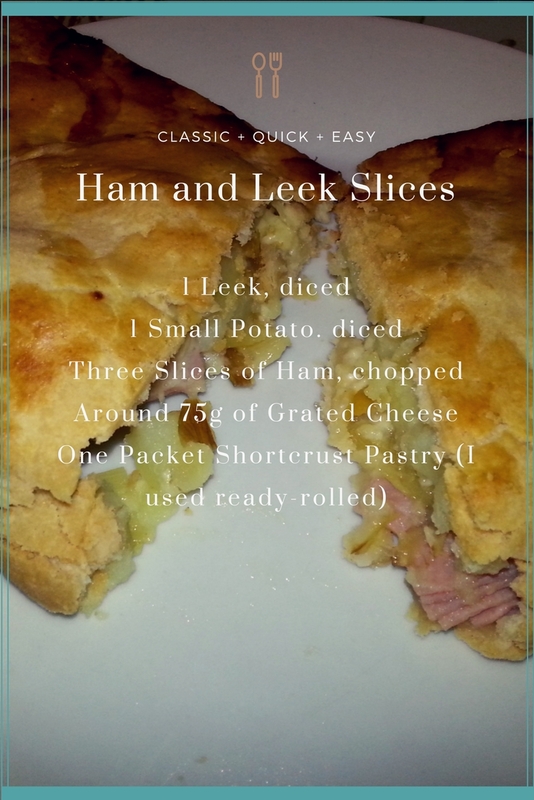 This recipe made generous portions for two people, but if you needed it to go further, you could make smaller slices and serve with chips, or mash and gravy.